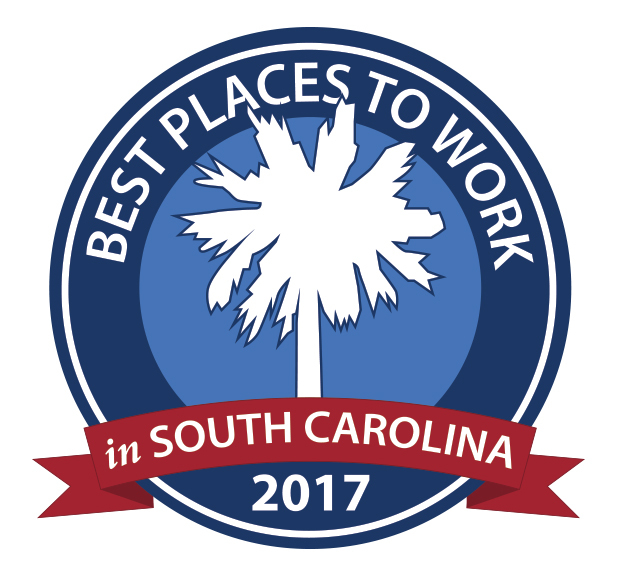 Charleston, S.C. – Accelera Solutions, Inc., an industry leader in Cloud, Mobility, and Virtualization solutions was recently named as one of the 2017 Best Places to Work in South Carolina. This twelfth annual program was created by SC Biz News in partnership with the South Carolina Chamber of Commerce and Best Companies Group. This survey-and-awards program was designed to identify, recognize, and honor the best employers in the state of South Carolina, benefiting the state’s economy, workforce, and businesses. The list is made up of 70 companies and Accelera Solutions has been named one of this year’s Best Places to Work in South Carolina. Companies from across the state entered the two-part survey process to determine the Best Places to Work in South Carolina. The first part consisted of evaluating each nominated company’s workplace policies, practices, philosophy, systems, and demographics. The second part consisted of an employee survey to measure the employee experience. The combined scores determined the top companies and the final ranking. Best Companies Group managed the overall registration and survey process, analyzed the data, and determined the final rankings. The ranked companies will be recognized at a reception and dinner, presented by Colonial Life, on August 3, 2017, and the rankings will be published in the August 2017 issue of SCBIZ magazine. Accelera Solutions is a leading provider of cloud, mobility, and virtualization solutions, with a focus on end-user computing, cloud management, automation, and business continuity. Accelera’s customers include the Federal Government, DoD and civilian agencies, state and local Government, and commercial organizations throughout the United States. Services include professional consulting, staff augmentation, and full IT managed services.